The Lanka Phosphate Limited in Eppawala has incurred a Rs. 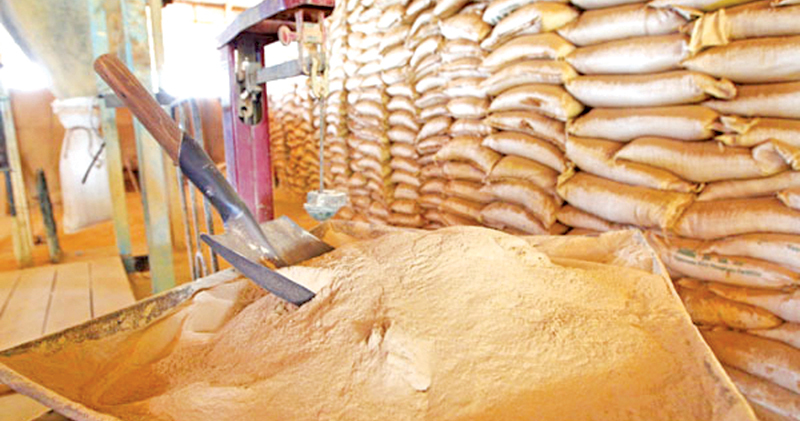 20 million loss by purchasing high price bags to pack fertiliser. The Chief Internal Audit Unit of the Agriculture, Rural Economic Affairs, Livestock Development, Irrigation and Fisheries, Aquatic Resources Development Ministry has revealed that the loss incurred in the tender process where low price bids were neglected to buy 120,000 bags for 2019. According to the audit report, the bags were bought at Rs 47.74 each. However, tenders had been presented for low rates as much as Rs 39.30 by a company of the six companies that submitted bids. The Finance Manager of the Company had informed its executive officers that owing to this loss, the stability of the Company is questionable. He has informed that the Company is maintained with a fix deposit of Rs. 250 million and if the same was taken over by the Treasury, the company would face a serious financial issue. He has told that the fund is enough only for six months. Lanka Phosphate Limited General Manager H. R. U. D. Bandara said the bids were directed to the SLS and it instructed to purchase the bags at Rs. 47.74. According to the report, SLS Assistant Manager O.P.C. Choolan and Senior Director in the Laboratory P/ W/ K/ Thisera had recommended the low price bags. This one venture that could be shut down easily. If it is cheaper to purchase phosphate from outside why not take that route.